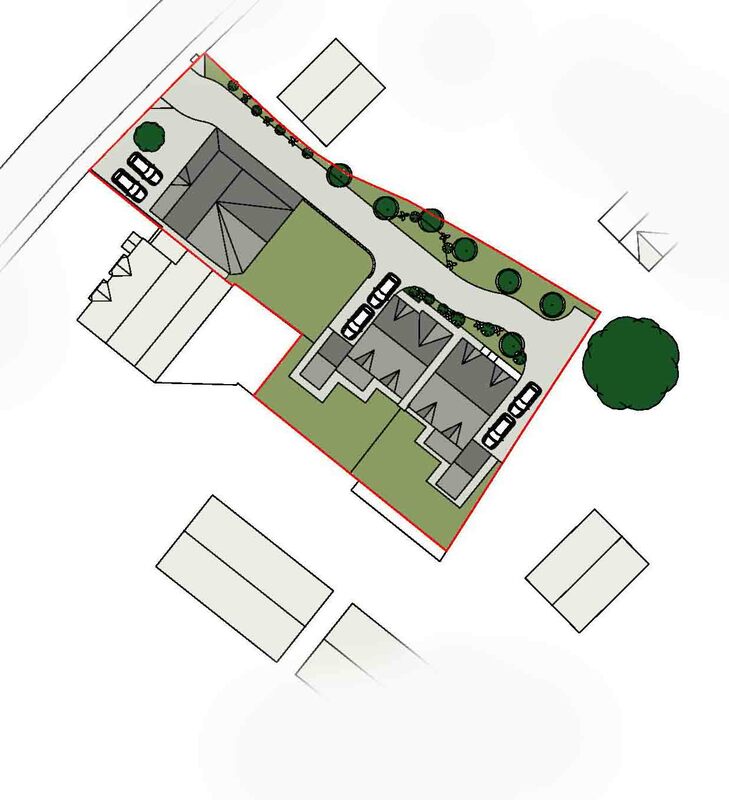 Architectural Vistadesigns (AVD) have secured Planning Permission for the erection of 2 dwellings on land in Allesley, Coventry. Erection of two dwellings on land to rear of 165 Browns Lane including vehicular access and alterations and extensions to the existing house. The site is part of the rear gardens of No’s. 163 and 165 Browns Lane. It is roughly rectangular in shape measuring 0.12 hectares. No’s. 163 and 165 Browns Lane are two houses on Browns Lane which predate the recent redevelopment of the former Jaguar site. The site is surrounded by a recently developed Taylor Wimpey housing estate. Architectural Vistadesigns (AVD) specialises in the Residential sector. The practice is focussed on unlocking land opportunities for clients and securing Planning Permission whether that for large scale strategic development land, or medium sized development land to small investment plots. AVD has a wealth of professional experience to advise on land and maximise development land to create viable schemes. AVD is an established experienced Development Consultancy providing a Full Residential Design service to assist Residential Developers, Housing Associations and Property Investors with their projects. AVD is specifically experienced in Residential Design and Planning and more specific in Master Planning, Urban Design, Planning negotiations and securing of Planning Permissions for key strategic sites. AVD services are not limited to the Residential Architecture as we provide services in Commercial, Retail, Rural and Domestic sectors. AVD provides a service from Inception through to Completion, with the ability to provide the client with design solutions that reflects aspirations, needs, values and cost. AVD offers a prompt and professional service to all its clients and the practice believes in building long term professional partnerships with key clients to deliver successful projects. Mark Payne on 0785 458 2584 or 01455 698 839 to discuss your next project.